Patrick Mulloy first presented the Triple Exponential Moving Average (TEMA) in the “Stocks & Commodities” magazine. The TWMA formula is based on the TEMA but applies the calculation to a WMA instead of the EMA. 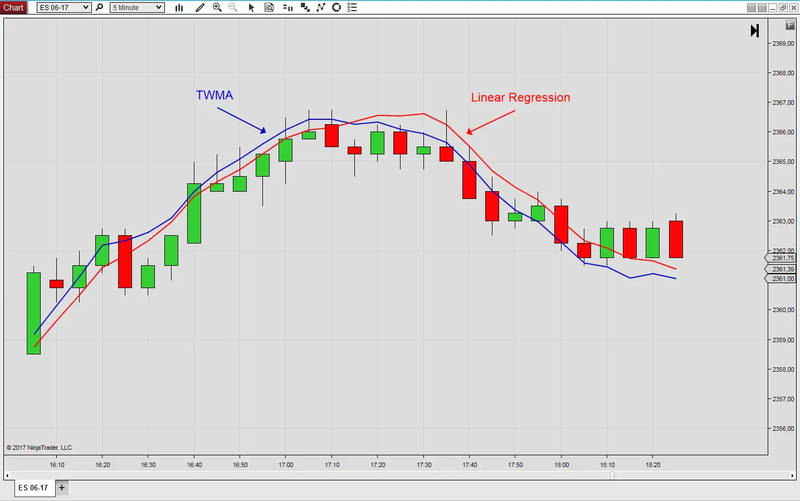 The Triple Weighted Moving Average (TWMA) is based on the TEMA, applying the formula to a WMA instead of the EMA. The TWMA indicator can be compared to the linear regression indicator, which is shown in the chart screenshot.